Bethesda, MD, 2017-Aug-07 — /Travel PR News/ — Marriott International (NASDAQ: MAR) announced today (08/03/2017) that construction will begin in the fourth quarter on the 16-story, $282 million JW Marriott Orlando Bonnet Creek Resort, which will provide Orlando visitors a new option for luxury accommodations. 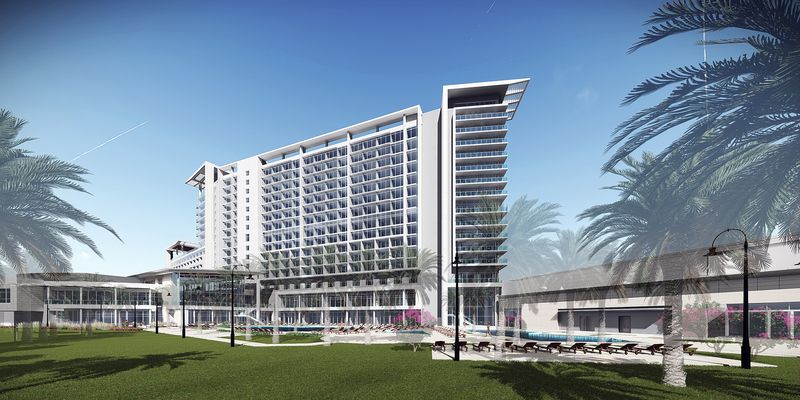 The 516-room hotel will be built on the last available site zoned for hotel use in Bonnet Creek, a 482-acre, mixed-use resort community near Orlando’s popular theme parks. Marriott International’s turnkey management solution, Managed by Marriott (MxM), will operate the hotel when it opens in first quarter 2020. The JW Marriott at Bonnet Creek is owned and developed by DCS Investment Holdings, a private equity group based in West Palm Beach, Florida. DCS Investment Holdings is recognized as a leading developer of residential and commercial real estate, including residential towers, master-planned communities and millions of square feet in retail and office space. The company is owned by Dwight C. Schar, co-owner of the Washington Redskins and founding chairman of NVR Inc., one of America’s largest homebuilders. When it opens, the JW Marriott Orlando Bonnet Creek will offer visitors luxuriously decorated accommodations including 80 suites. In addition to two presidential suites, guests will be able to choose from 16, two-bedroom suites with optional connections to create four-bedroom family units, making the hotel an excellent choice for small groups or multi-generational family vacations. The JW Marriott Orlando Bonnet Creek will have multiple food and beverage outlets, including an indoor/outdoor restaurant and a 9thstory rooftop bar with panoramic views of local evening fireworks. The resort will include an expansive pool with decks and terraces and a pool area for younger guests. The hotel will offer outdoor activities on a special amenity deck that will give guests the option of playing tennis, basketball and shuffleboard. The hotel will also feature a spa with 10 treatment rooms, fitness center, children’s playroom, teen center and meeting space. Event organizers will be able to utilize more than 50,000 square feet of meeting space, including a 23,000-square-foot ballroom, to accommodate a variety of social and business events. This entry was posted in Business, Hotels, Luxury, Resorts, Travel, Travel Management, Travelers and tagged JW Marriott Orlando Bonnet Creek Resort, Marriott International, Mitzi Gaskins, Noah Silverman. Bookmark the permalink.